It all started with a man and his dog, and now John Wick is back! (Again.) 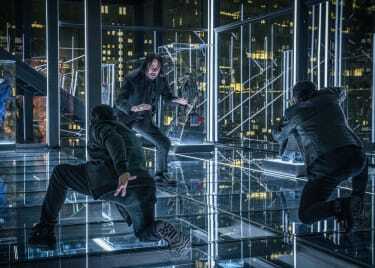 The unlikely Keanu Reeves hit JOHN WICK, released in 2014, led to a sequel, JOHN WICK: CHAPTER 2, bursting with color, violence and pure style. Both star Reeves as a once-retired assassin who is pulled back into an underground society of killers following the death of his wife — and his dog. Now, JOHN WICK: CHAPTER 3 – PARABELLUM is locked and loaded for release on May 17. Here’s what you need to know if you’re new to Wick’s world. A new trailer arrived on March 21. There’s so much there we can’t wait to see, but it really all comes down to Wick taking out guys on motorcycles while riding a horse. A HORSE! Oh, and the new dogs are great, too, of course. JOHN WICK was based on a simple idea. An assassin puts his violent life behind him in order build a future with his wife. She succumbs to a terminal illness, however, leaving John with one last gift: a puppy to care for. But when a Russian gangster takes a liking to Wick’s car, which he refuses to sell, the bad guy steals the ride — and kills Wick’s dog. And so the gloves come off, Wick goes back into action, and the movie becomes a respectable hit. Long-time stuntmen, second-unit directors and action choreographers Chad Stahelski and David Leitch teamed up to make the movie, and they poured all of their knowledge of and love for movie action into the film. Stahelski had been the stunt double for Reeves on THE MATRIX, so the two go way back. The first movie introduced many elements of Wick’s weird world. There’s the Continental Hotel, which acts as a meeting place and safe haven for contract killers. Strict rules govern behavior at the Continental, which is owned and run by Winston (Ian McShane). Above all else, there are really two big rules: No killing at the Continental, and all Markers must be honored. 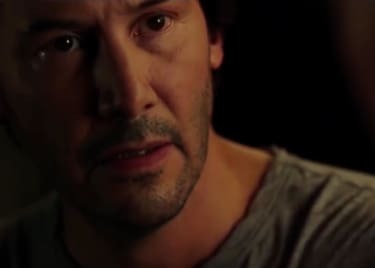 Problem is, when John Wick wanted to leave killing behind, he was given a supposedly impossible task to do before being allowed to retire. He accomplished the task in part thanks to help from another assassin, who swore Wick to a Marker — basically, an unbreakable promise to repay a debt. When the Marker is called in, Wick tries to refuse it. A bounty is put on Wick’s head, setting the stage for a free-for all in which seemingly every assassin in the world tries to kill our grim, shaggy-haired hero. Even with all guns trained on Wick, no one could take him down. And he walked away from this chapter with a Marker from Winston, which might help out a lot in the new movie. At the end of CHAPTER 2, Wick had killed the man who was trying to kill him and was marked for death with a $14 million global bounty on his head. He’s all but trapped in New York City, without the services of the Continental to help him and only his pit bull for company. 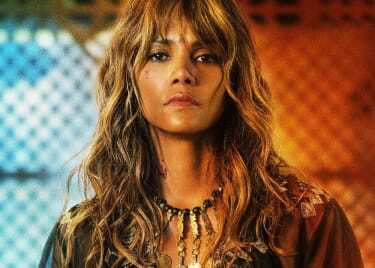 There is one person who might be able to lend a hand, however: Sofia (Halle Berry), a hitwoman who has a close friendship with Wick. The duo are likely to face all-out war if they even try to resist a city full of killers. What’s the Title All About? So, we know that Keanu Reeves appears as John Wick for a third time and that Halle Berry plays his assassin friend, Sofia. Ian McShane also returns as Winston, and that’s a good start. Laurence Fishburne returns as the underground crime boss and general voice of reason, the Bowery King, while the multitalented Mark Dacascos plays Zero, who really wants to take Wick out — we see them facing off against one another in the latest trailer. Asia Kate Dillon plays the Adjudicator, who is part of the High Table council, and Robin Lord Taylor is the Administrator, another High Table member. Saïd Taghmaoui plays the Elder, and Anjelica Huston appears as the Director, who, as the trailer shows, is on John Wick’s side. And Lance Reddick is back as Charon, the concierge at the Continental Hotel in New York, while Jason Mantzoukas plays an assassin called the Tick Tock Man, and we can’t wait to see more of him. 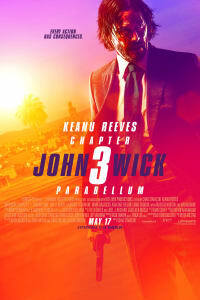 JOHN WICK: CHAPTER 3 – PARABELLUM will shoot into AMC theatres on May 17.